I love books, pretty much all books, but on occasion I come across one that truly sparkles. 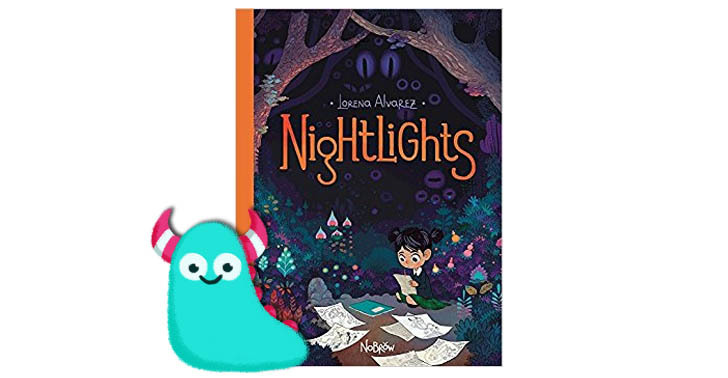 Nightlights, written and illustrated by Lorena Alvarez and published by Nobrow was one such book. I’ve been meaning to review this book for quite some time, but the right words to describe this book still evade me! Nightlights is a picture book come graphic novel about a creative young girl, Sandy. Every night, lights appear in her bedroom and she catches them and creates wonderful creatures to play with. The following day, Sandy brings them back to life with her doodles and drawings. However, one day, while at school, a mysterious new girl turns up with a keen interest in Sandy’s daydreaming drawings. This interest soon takes a sinister turn and we’re taken on a ghostlike fantasy rollercoaster ride. I don’t want to reveal too much about the story of Nightlights and where it heads from this point. All I will say is that it’s an incredibly strange, unique and dark tale. Nobrow is an offshoot of Flying Eye Books, and if you’re at all familiar with their publications, you’ll know that they produce beautiful quality and unique books for children, but also appealing to adults. 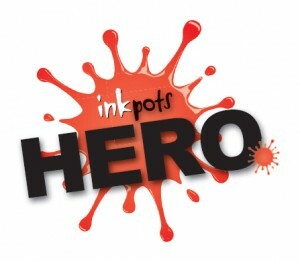 Nobrow really seem to excel in creating these graphic novels for younger readers. Nightlights is part picture book part comic, part graphic novel, which means it’s all dialogue. Unlike some graphic novels, however, it’s quite sparse on text and well spaced out, so it’s very easy to follow for younger readers. The story, as mentioned above, is unique and quite dark, so I wouldn’t suggest it for very young, or easily scared readers, as a couple of the graphics are a tiny bit creepy. But it’s gripping, exciting and a brilliant read, one which children and adults can enjoy together. The thing which stood out to me with Nightlights has to be the illustration by Lorena Alvarez, my goodness they are something else! Every colour of the rainbow is used here, but they all blend together so beautifully. We follow Sandy in her daily life in a fairly neutral colour palette, but when we hit the pages where her drawings come to life the contrast is spellbinding. Huge, full page spreads of floral, fantasy illustrations in vivid multi colour that pull you deeply into this creative world. The illustration lover in me has rarely been quite so taken aback by a book’s artwork before. I confess to peaking at this book most days. Sandy is incredibly sweet, a bit of a daydreamer, and her big eyes and slightly messy hair reinforce this feeling, she’s adorable. Whilst blonde-haired pale faced Morfie, Sandy’s visitor, is serenely beautiful at first, yet evolves into an incredibly creepy and haunting character as the story progresses. There is real talent with characterisation and colour use demonstrated here. 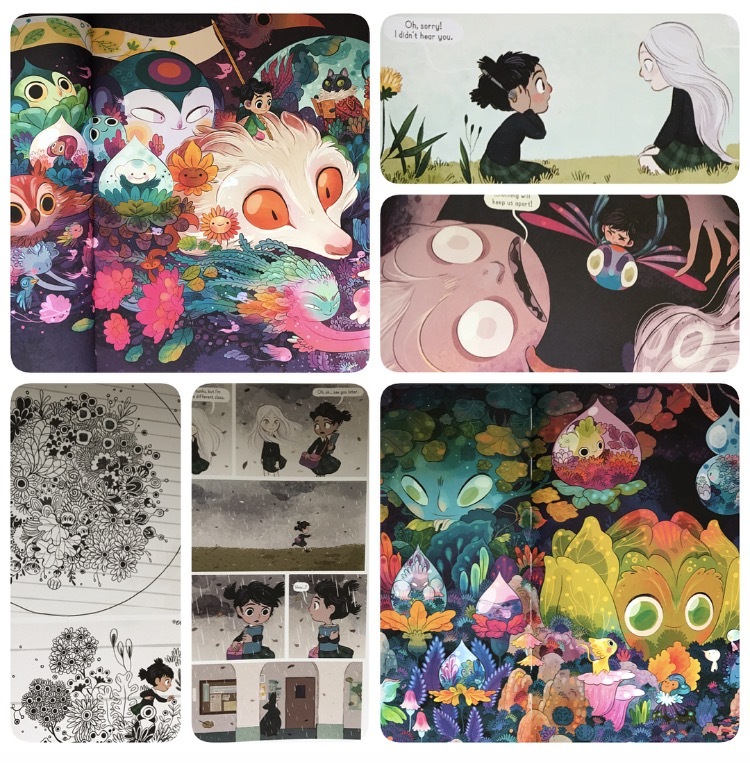 In conjunction with the glorious art in this story, Nobrow has giving it star treatment in their publication quality with lovely thick paper and an absolutely stunning embossed cover which shimmers just like you expect this fantasy world to, you do feel like you’re investing in a book for keeps. In all honesty you really are. I think of all my children’s books, this is one of the few I could never part with. 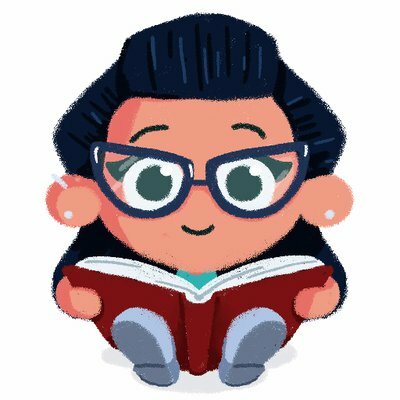 I’m very much looking forward to seeing more books from Lorena Alvarez and checking out more publications from Nobrow. Nightlights is now available from all good book shops and libraries.